MASKerade: Muse Challenge 87 - Thanks, Kimberly! 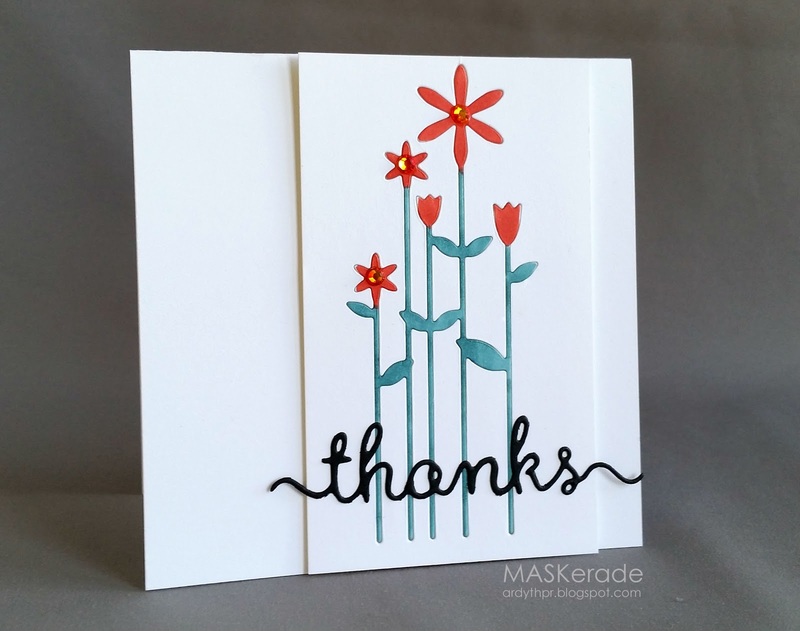 Muse Challenge 87 - Thanks, Kimberly! Is it just me, or was September CRAZY? I somehow forgot that when the kids go back to school, so do I - I'm the Chair and Treasurer of our School Council and there's been so much going on that I have not been able to keep up at all! 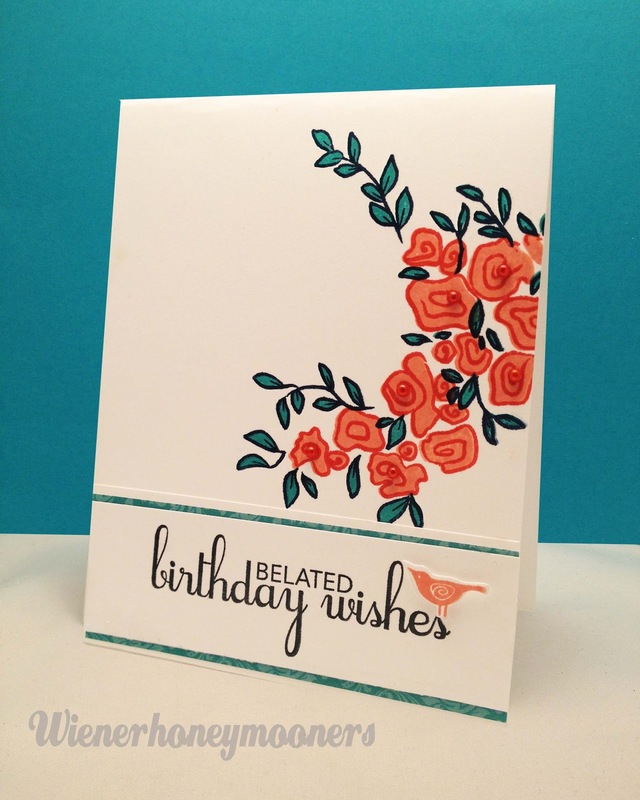 I really wanted to do a super job with this - Kimberly is sweet, talented and full of cardmaking enthusiasm and support for all of us in this crazy little part of blogland. She and I work together on CASology and I really, really love this pretty card. But I ran out of time, and this is my first (and only) draft. While there are things I like about it, including the scripty font (Clearly Besotted Stamps die), the raised panel and the colour scheme (including the nifty fire opal gems which shine both orange and red), I wish I had more time to take it to the next level. Know what I mean? In addition to time pressure (or maybe contributing to the time pressure), I recently got a new phone, which means a new camera which seems to be extra shaky, resulting in a slightly blurry photo (meaning I need to be more stable!). I'm also trying out a new photo editor to streamline my process and it seems fine so far, but you know that new software always takes a while to get used to. There's a bit of time left for you to link up - the deadline is Monday morning at 8 am. At that time you can vote for your 3 favourites until Tuesday at 8 am. The results will be posted at noon on Tuesday. I know what you mean, Ardyth, by the next level...but it is absolutely gorgeous as is! I love the simplicity...totally nailed it! This is quite striking and totally beautiful, Ardyth. I love the look of it. VEry nice card for this challenge! I like the colors! You know I think it is amazing!!! I love the raised panel for the flowers, genius touches of gems and the black die cut sentiment pops so much!!! WOW...you fret it seems over nothing I can see at all out or wrong...JUST lovely!!!!! YAY for joining in the MUSE, you totally ROCK!!! You accomplished what you were aiming for! You really did a super job with this. Always amazed and inspired by your work! In my humble opinion, this card is perfect! The sentiment was made for these flowers. Love the popped up panel, which is beautifully highlighted by a great photo! Which program? Lightroom (Adobe Photoshop)? I think it's gorgeous but I know what you mean about that feeling of thinking that a card is just not quite there yet. So annoying! Must remember this raised panel - I like the look. I love it as is! I'm not sure it could get any better! Love the colors! I think you did a FAB job!!! I think that you are being too hard on yourself. This card is perfect in every way, and I can't think of how you could have added or changed anything about it. Love the idea of the inlaid die with a die cut over it. I think the simplicity of your cards speaks for itself. It's a stunning card Ardyth, and a super photo!